I’m hoping to thru-hike the Pacific Crest Trail this year, but I’m having trouble striking a balance between keeping my pack light and bringing everything I need. What common mistakes should I watch out for? Packing cotton clothes: You’ve heard the mantra “cotton kills.” And while it may seem like a no-brainer not to bring your street clothes on the trail, it happens more often than you’d think. I’ve seen dozens of hikers start with a cotton hoodie or 7 pairs of cotton socks. Not only does cotton absorb more than 20 times its weight in water, it also takes forever to dry (hello, extra ounces). Once it’s gotten damp, it’s useless as an insulator, since water conducts heat away from the body faster than even the coldest air. As if that weren’t enough, it’s also bulky as heck. Bottom line: leave it at home. Bringing too much food, or too much of one kind of food: No one wants to run out of food when they’re far away from a grocery store, but that doesn’t mean you need to pack the whole supermarket. Portion out how much food you plan to eat for each meal, then up that amount to account for hiker hunger and add a little emergency food. (Plan on bringing between 2 and 2.5 pounds of food per day.) Even worse are the hikers who choose to bring a lot of one kind of food—oatmeal, peanut butter, et cetera. If you’re not willing to eat it, it’s just dead weight in your pack. Packing the entire kitchen: Everyone dreams of the backcountry gourmet meals they’ll make for themselves and their new trail friends on a thru-hike. But the reality is that after a day of hiking, most people are too tired to turn into a chef. My advice is to start with a cooking pot and an eating utensil. If you find yourself missing your chef knife’s later, you can always pick one up. I’ll leave you with one more caveat: There is such a thing as going too light. Inexperienced hikers on the PCT often think it’s OK to start without rain gear, a tent, or a sleeping bag. (Deserts are hot and dry, right?) But while the desert can be hot during the day, it can drop below freezing at night, and people have died of hypothermia in sudden rain storms. We carry gear on a thru-hike to provide an acceptable level of safety and comfort, and knowing the difference between the essential and superfluous makes all the difference. Have the thru-hike itch, but don't want to ditch your career? A short long trail may be just what you need. Travel the world or go for a long walk? You don't have to choose. 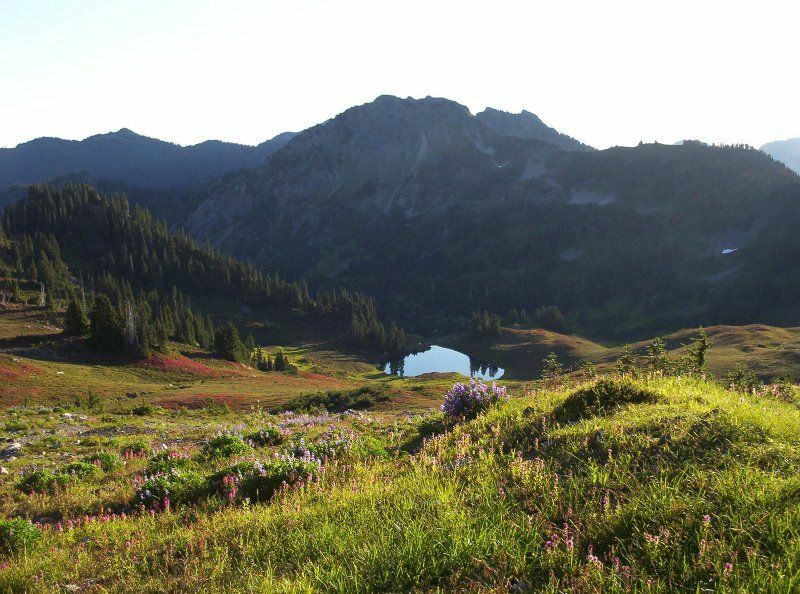 Thru-hiking the Pacific Crest Trail, Appalachian Trail, or another long path? Make the most of your time before you blast off.